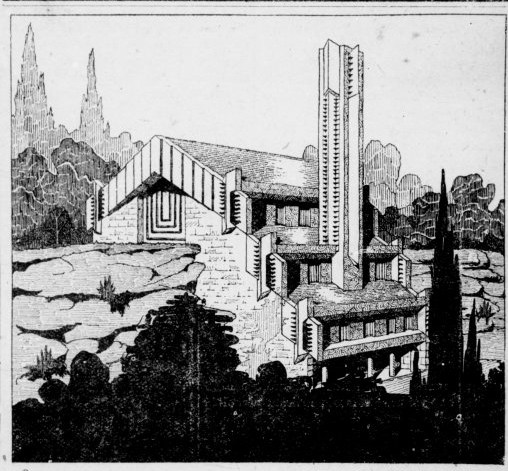 My last blog, on the projected restoration of the Martin House landscape, brought a veritable deluge of information and some well-informed disagreement with my speculation that Wright may have fired Walter Burley Griffin because he (Wright) did not like Griffin’s floricycle. The fusillade (a shot heard around the world – literally) came from Christopher Vernon, Professor of landscape design at the University of Western Australia in Perth, and he should know. Currently at work on a book on Walter Burley Griffin, Chris is the author of numerous articles on the leading American landscape architects Griffin, Jens Jensen, and Wilhelm Miller, many of whom knew or worked for Frank Lloyd Wright at various times. In Chris’s estimation Griffin designed the Martin landscape, Wright approved of the design, and it should be the basis for any restoration. He points out that Griffin left Wright’s office primarily because he won the substantial commission to design the landscape for what is now Northern Illinois University at Dekalb in 1906. Griffin was outgrowing his role in Wright’s office just as Wright had outgrown Louis Sullivan but he remains somewhat underappreciated in the United States because he left for Australia in 1912 where he, and his talented wife, Marion Mahoney Griffin, enjoyed splendid careers before moving on to India to work. Griffin’s Australian work begins in a Wrightian vein but is transformed in the 1920s (see picture) into an exuberance reminiscent of Bruce Goff. It turns out that Griffin took a substantial record of his work for Wright, including 1907 Fuermann photographs of the Martin, Barton, and Heath houses in Buffalo, a drawing of the Larkin Building, garden plans, and numerous photographs of his independent work in the United States, which now reside in the National Library of Australia. http://www.nla.gov.au/apps/cdview/?pi=nla.pic-vn3944294. Christopher Vernon notes that Griffin returned to the United States for a visit in 1932 and made a special visit to the Martin House that he recorded photographically – additional proof that the landscape was largely his. Hopefully Christopher Vernon will also make a return visit.